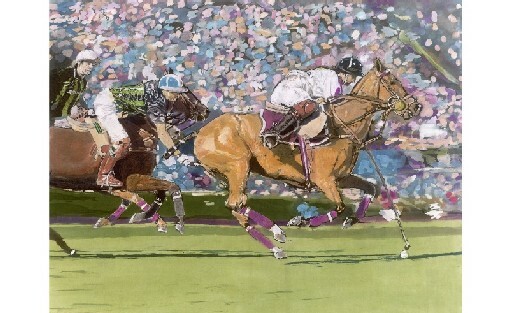 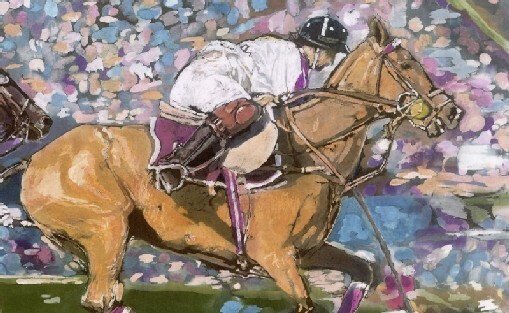 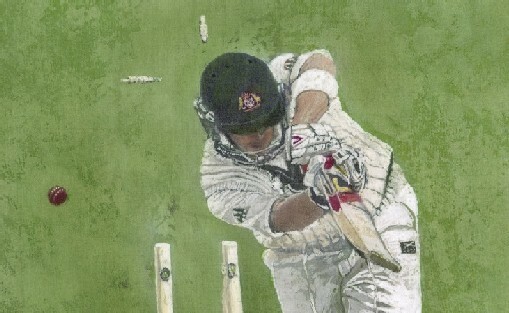 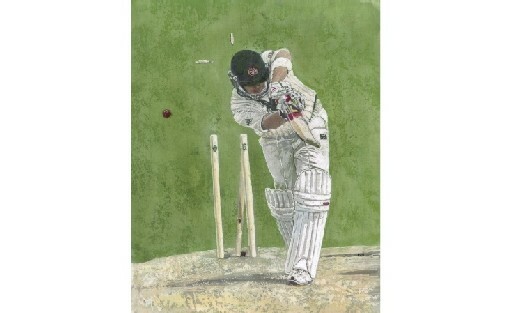 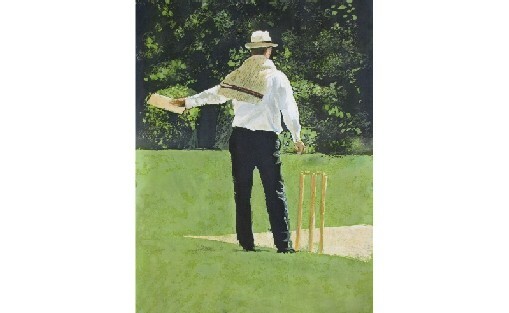 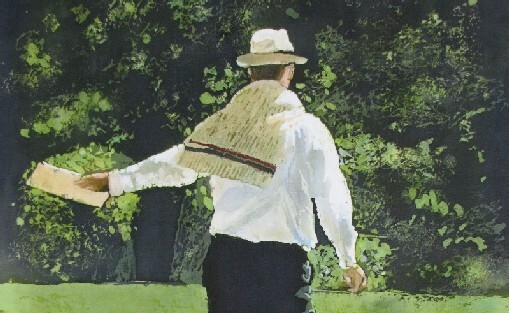 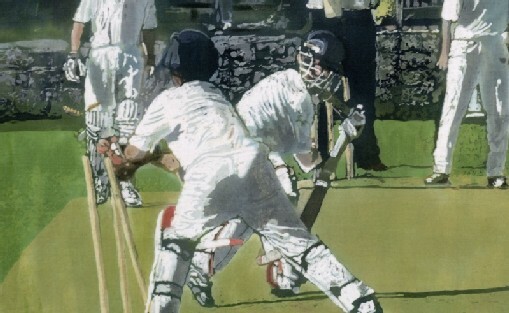 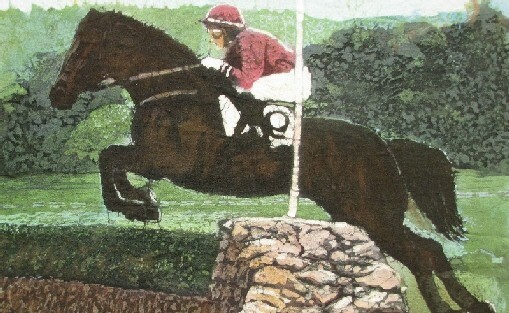 Batik paintings of different sporting scenes, including cricket, horse racing, polo, rowing and sailing. 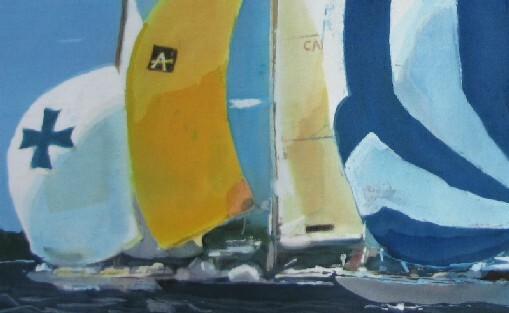 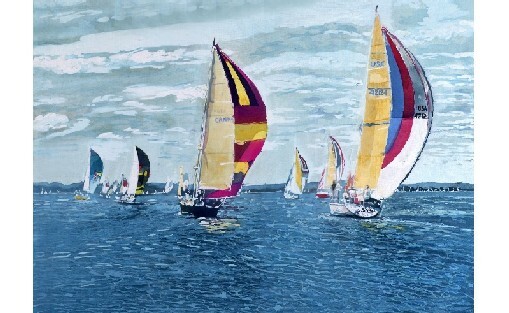 Sailboats toing and froing before the start of a yacht race. 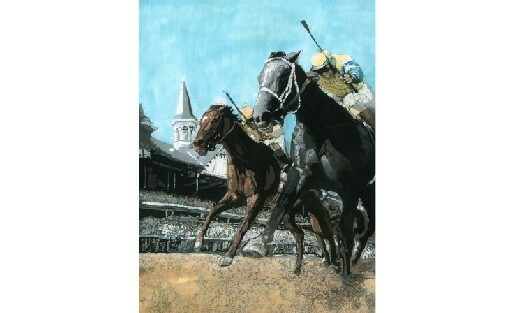 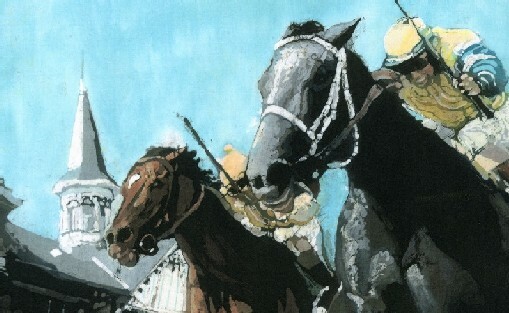 Horses racing to the finishing line at the Kentucky Derby in the USA. 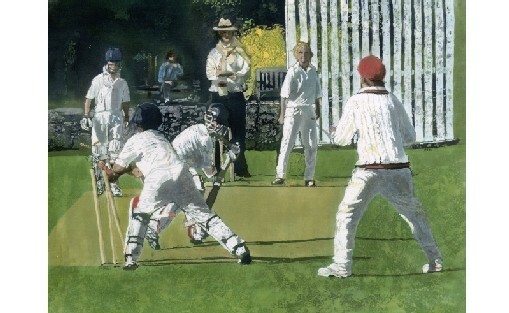 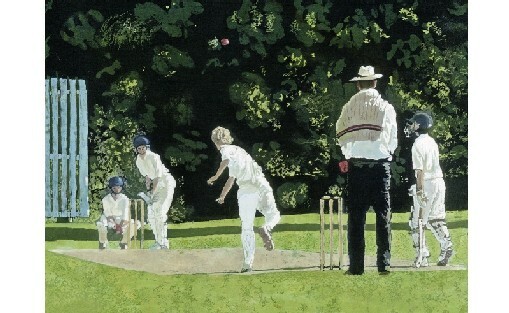 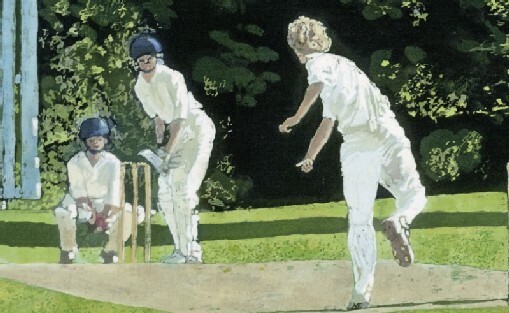 1st XI Cumnor House School Cricket Team playing a match in Sussex, UK in 2011. 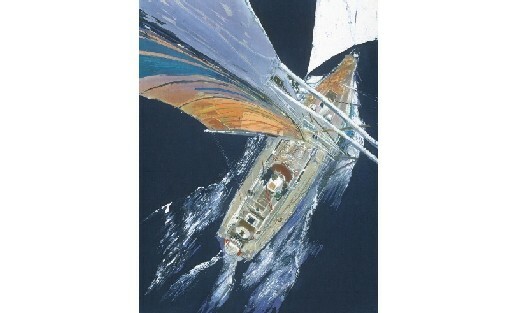 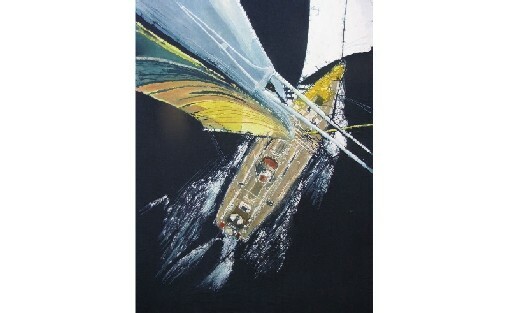 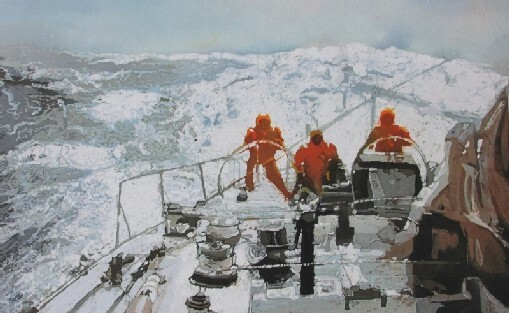 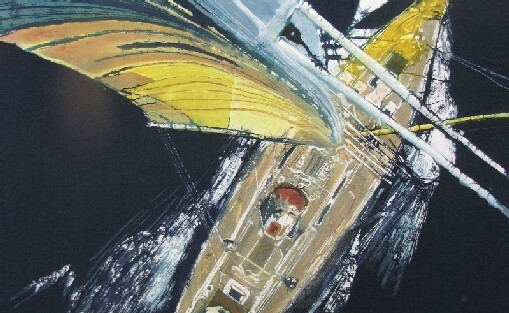 The Southern leg of the Whitbread Round the World race in 1988. 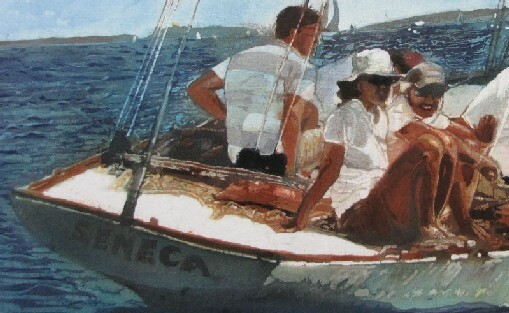 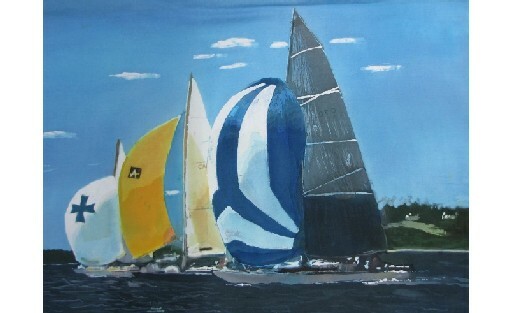 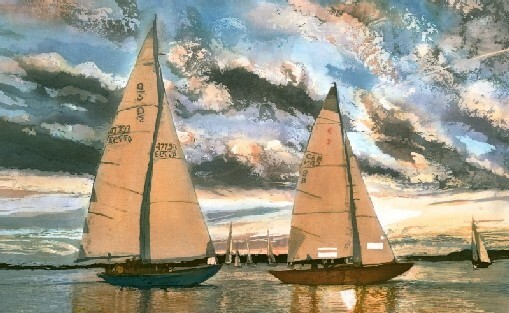 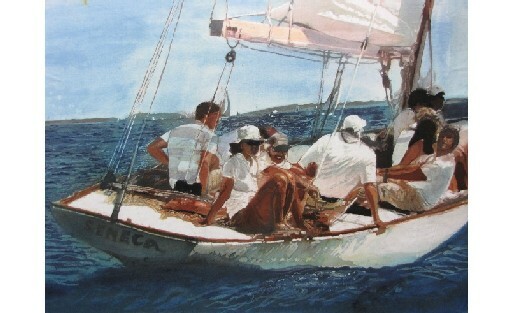 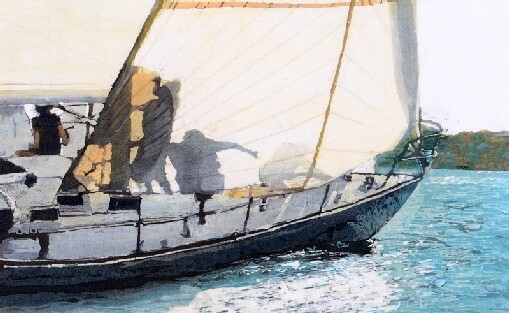 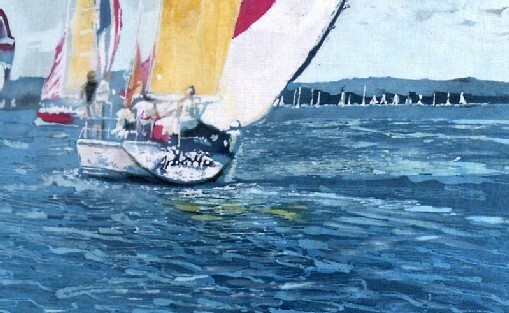 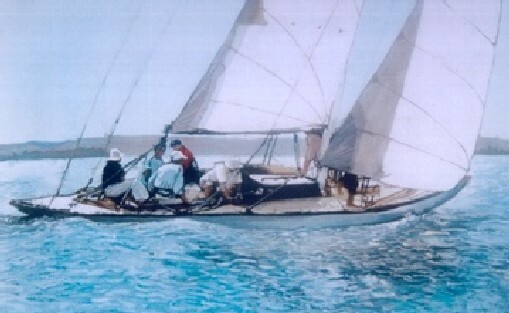 'The Virginia', an old Q Class sailboat, and her crew sailing in a race during Chester Race Week. 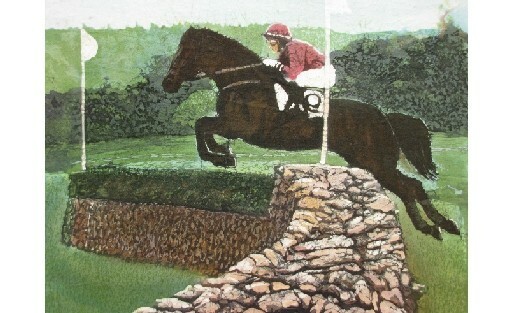 Annie Finney riding the mare, 'Warren Place', jumping the stonewall jump in the Moriah Steeplethon in Virginia in October, 1997. 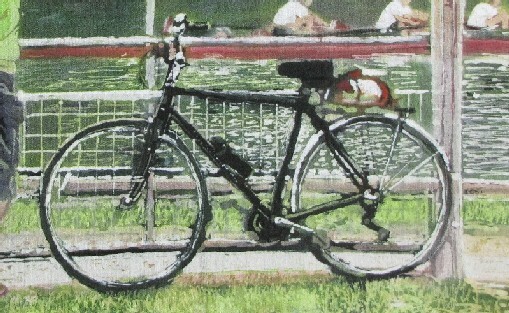 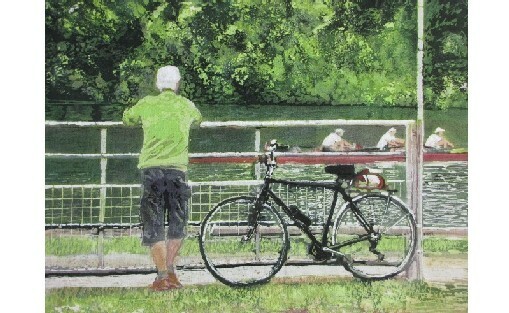 Man with his bicycle watching rowers as they practised on the River Thames before the Henley Regatta.